Today, Goldenvoice announced a new festival at the Queen Mary Events Park. 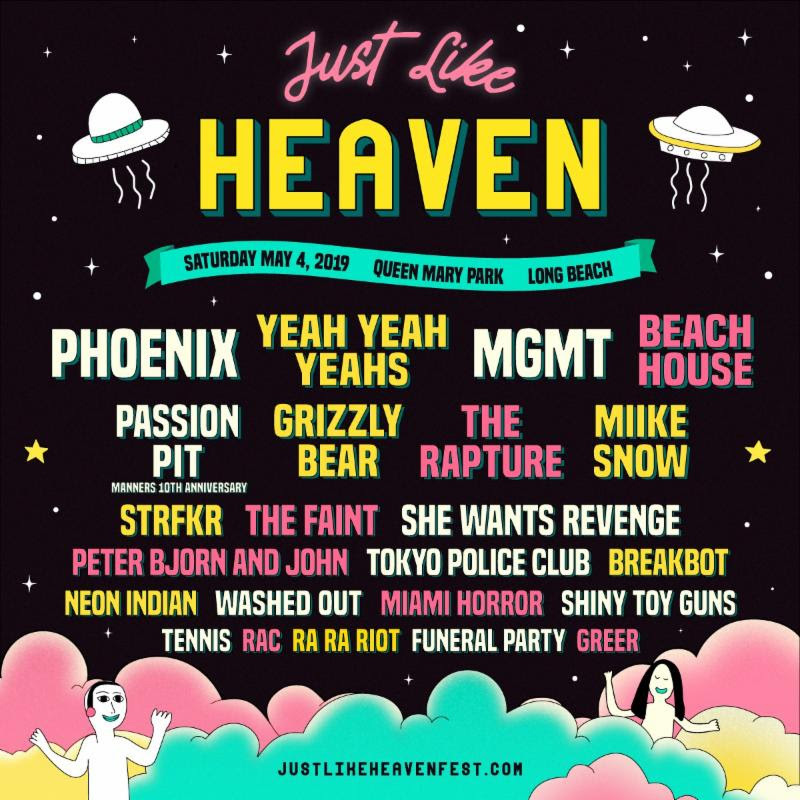 Just Like Heaven will take place Saturday, May 4 and feature alternative and indie rock favorites Phoenix, Yeah Yeah Yeahs, MGMT, Beach House, Miike Snow, Passion Pit (Manners 10 Year Anniversary), The Rapture, Grizzly Bear, STRFKR, The Faint, She Wants Revenge and more. This is the first indie rock / alternative event presented entirely by Goldenvoice at the events park. Tickets will go on sale Friday, February 8 at 10:00 AM. Prices start at $99.00. More information available at JustLikeHeavenFest.com.